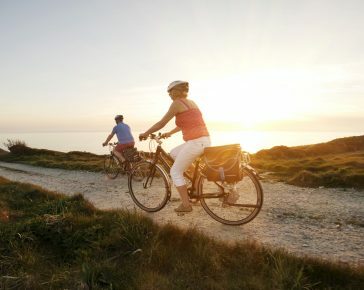 At Cornish Cycle Tours, we love Cornwall and we love cycling. 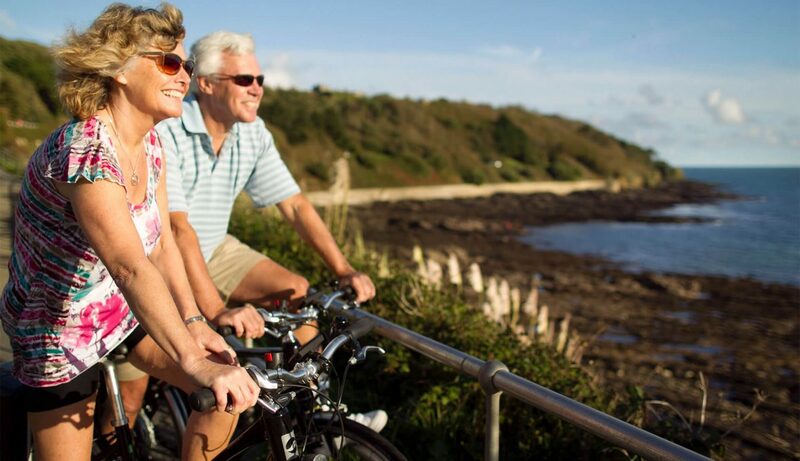 Our safe and enjoyable cycling holidays in Cornwall are for cyclists of all levels of fitness and experience. Our self-guided, fully supported cycle tours take in the Duchy’s most beautiful areas, staying at charming and comfortable inns and guesthouses. Our Sport Cycle Tours have been specially planned with the serious cyclist in mind. You’ll be covering more miles per day than on our Leisure Cycle Tours, with some challenging terrain. We’ve even found a 28% hill, one of the steepest in the country. We have nine different bicycle tours to choose from, ranging from a long weekend to a two week trip, and catering for a wide range of abilities and preferences of daily riding distance. Our Sport Cycle Tours make the most of Cornwall’s hilly coastal terrain, with rewarding views and beautiful scenery. 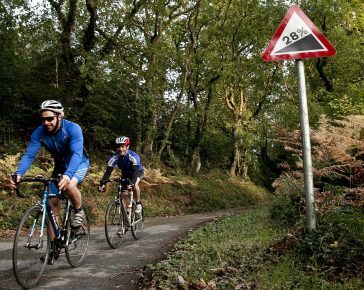 Some even include the 28% incline at Hustyn Hill – one of the toughest hill climbs in the UK. We’ve introduced a fleet of electric cycles which can be hired for our Leisure Cycle Tours. 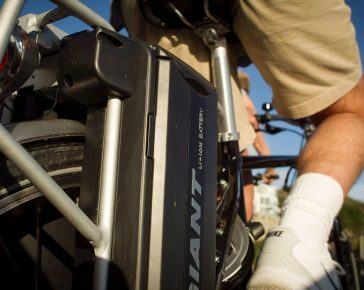 The Giant Quick E models use batteries to give cyclists a little bit of extra pedal power. Following coastal lanes and cycle trails, The Poldark Cycle Tour showcases the setting of the nation’s favourite TV programme, weaving through recognisable filming locations and historic landmarks! This relaxed 14-day tour takes you on a gentle ride along the coast of Cornwall before boarding The Scillonian ferry to the Isles of Scilly.